Parents can now be fined hundreds of pounds for taking their children out of school for a family holiday. But with the high cost of peak-season UK breaks, is this fair? Taking your children away on holiday during the school holidays is now rarely a cheap option with increased demand during holidays typically leads to increased holiday prices. 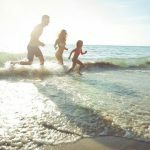 This was one of the main reasons the UKfamilybreak website was created to help the average family who hasn’t got the time to search and find a UK holiday deal or offer. 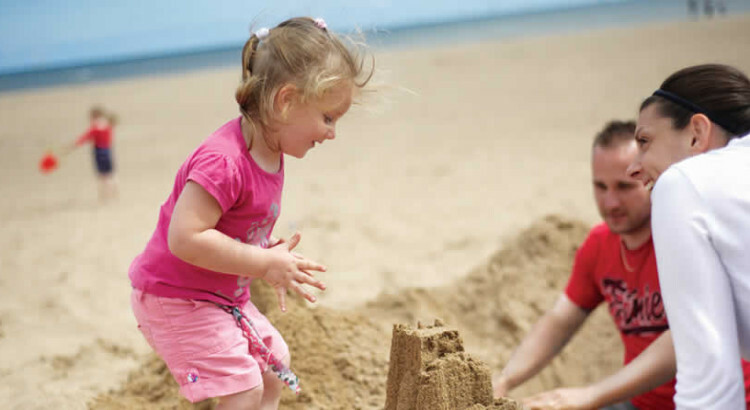 For parents who do decide to take that hard earned family break during term time – when holiday costs tend to be lower – now face the prospect of fines. And families who opt for term-time travel and holidays could now even face possible legal action!! Schools in England and Wales have long been able, in theory, to impose fines on parents who take their children out of school without authorisation. But until September 2013, head teachers had been able to grant families up to 10 days of leave every year in “special circumstances”. What this means is that many schools are allowed up to two weeks of term-time holidays a year. In 2014, however, the Department for Education (DfE) told the heads in England that leave should only be granted in “exceptional circumstances”. The reason being that Ministers say poor attendance can have a “hugely damaging effect” on a pupils education. Fines can be as much as £60 per parent per child for each leave of absence, increasing to £120 if not paid within 21 days. Fail to pay, and you could land a prison sentence for up to three months, or a £25,000 fine. Some local authorities in Wales are following England’s lead by introducing fines. In a recent report published by the Department for Education, there were one million fewer school days lost to term-time holidays in the autumn and spring terms of the 2013/14 academic year when compared to those of 2012/13. Over a quarter (26 per cent) of the parents surveyed said they would weigh the possible effect to the child’s education based on their age and whether their child was in secondary school, particularly if they are studying for GCSEs or A-levels. Justine Roberts, CEO of parenting website Mumsnet, says: “Parents would no doubt rather not take their children out of school. “But the only way many families can afford a holiday is to go in term time because holiday companies ratchet up the prices in school holidays to such an extent. The daily mail revealed that that 54% of UK parents would take their kids out of school to get a better deal on a holiday. Over half of parents now believe that it is acceptable for children to miss school in order to get a better holiday deal, according to a survey. It is possible to save almost £1,000 by taking a child out of school two days early, or as much as £250 by taking them out one day early. It is clear that many people feel ripped off by the rising cost of UK breaks booked at Easter or during the summer holidays. This resulted in a petition in 2014 calling on the government to limit how much extra travel firms can charge at these times received more than 170,000 signatures in support. Well for a start make sure you visit the ukfamilybreak website, follow us on facebook and subscribe to our email for the latest UK holiday offers and deals. Our advice also is to research and book as far in advance as possible. 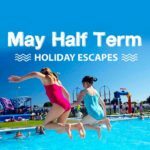 Many UK holiday parks such as Butlins, Bluestone Wales and Haven Holidays promote early bird discount offers plus low deposits for advance bookings, so it’s worth snapping up a deal as soon as you see them advertised.